The Holocaust initiated a major change in thinking about the Jewish people in numerous Christian circles. To many it was clear that centuries of Christian anti-Semitic teachings had paved the way for the mass murders by the Nazis and their supporters. These crimes alone, however, could not have shifted the theological thinking of many Christians to such a large extent. Many would still have seen the Shoah as yet another example that Jews are forever cursed. It was the theological shock of the creation of the state of Israel in 1948 that challenged the fundamental church teachings and doctrine concerning the Jewish people. For centuries, the Christian mainstream thought that the Jews, who were blamed for killing Christ, were cursed to endless wanderings. This is the key distinguishing factor between Christian friends and foes of Israel: whether or not one believes the Jews still have an abiding covenantal relationship with God. Within the pro-Israeli Protestant camp there are two major theological schools. The first is covenantal Christian theology, which is based on the belief that God eternally keeps his covenantal promises. The second is dispensationalism, which says that Israel was temporarily replaced by the church but-at the end of days-Israel will once again be God's main redemptive agent in the world. Replacement theology, also called supersessionism, is the main theology of Israel's Christian foes. It is based on the idea that God's unique relationship with the church is the replacement or the completion of the promises made to the Jewish people, and thus Israel's "election" no longer stands. Palestinian liberation theology uses Jesus as a historic role model, identifying with him as the "first Palestinian revolutionary." Thus, it justifies Palestinian violence against Israelis as acceptable acts of the oppressed against the oppressor. "The Holocaust brought about a major change in thinking about the Jewish people in many Christian circles. It was a major moral shock for them that, in the heart of Christian Europe, a genocide had taken place that aimed to annihilate the Jews. To many, it was clear that centuries of Christian anti-Semitic teachings had paved the way for the mass murders by the Nazis and their supporters. "These crimes alone, however, could not have shifted the theological thinking of many Christians to such a large extent. Many would still have said: ‘The Shoah is yet one more example that the Jews are forever cursed.'" David R. Parsons is media director for the International Christian Embassy Jerusalem, senior producer of the weekly radio program Front Page Jerusalem, and contributing editor of the Jerusalem Post Christian Edition. From 1991 to 1995 he served as general counsel for CIPAC, a Christian pro-Israeli lobby registered with Congress to advocate for strong U.S.-Israel relations. Parsons observes: "It was the theological shock of the creation of the state of Israel in 1948 that challenged fundamental church teachings and doctrine concerning the Jewish people. For centuries the Christian mainstream thought that the Jews, who were blamed for killing Christ, were cursed to endless wanderings. The concept was that they had been dispersed around the world, never to return to the Land of Israel or play an important role in God's redemptive plan for humanity. In short, with the birth of the church, the Jews had served their purpose once and for all. "Then after World War II, rather suddenly Jewish sovereignty was restored in the Land of Israel. This development did not square with mainstream Christian doctrines. Thereupon several Christian churches, of which the large Catholic Church is a good example, gradually steered their institutions toward new attitudes concerning the Jewish people. "However, there also remain Christians who have refused to change their doctrines to fit this new reality of a restored Israel. They would rather try to retool the facts to fit their classic theology of a rejected Israel. This is perhaps a little-known, but large motivating factor, for many pro-Palestinian Christians in the Western world. By attempting to reverse history they want to do away with Jewish sovereignty in the Land. "In addition they would like to whittle Israel back to a bi-national state, Jews and Arabs, and three religions: Islam, Judaism, and Christianity. This is an important source of the Christian involvement in the divestment campaigns, apartheid branding of Israel, and other anti-Israeli efforts. Although this activism has an underlying theological basis, it is also part of the wider ‘culture wars' between the Left and Right." When asked to first analyze the various currents among Christian friends of Israel, Parsons replies that some of these supported the Zionist movement since its inception. "Theodore Herzl coined the term ‘Christian Zionists' at the first Zionist Congress in Basel in 1898, in reference to such Christian figures as the Rev. William Hechler, the chaplain at the British embassy in Vienna, and the Swiss Protestant Jean Henri Dunant, who shared the first Nobel Peace Prize. "Christian Zionism even predates the advent of political Zionism by decades if not centuries, as leading Christian ministers and politicians advocated the return of the Jews to their ancient homeland from the time of the Protestant Reformation. Its triumph was the Balfour Declaration, as six of the nine members of the British cabinet of David Lloyd George were professing Christian Zionists. The theological basis was their belief that the time had come for the Jews to return to their homeland. They also believed that Great Britain, with its worldwide empire, was uniquely positioned to help with the worldwide ingathering of the Jewish Diaspora. It was not only a matter of belief; great-power calculations also played a part in their attitudes. "The roots of Christian Zionism start, however, with the Reformation. The Bible was put in the vernacular so that people could read it for themselves. They saw that God still loved the Jews. What they were reading did not accord with the teachings of the established churches, particularly Catholic doctrines. "Today there are more Christian Zionists than ever. 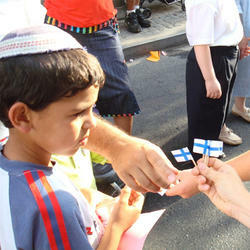 Many millions, all over the world, have a compelling love for Israel and the Jewish people. Eight thousand Christians came from nearly a hundred countries to participate in the recent celebration of the biblical Feast of Tabernacles in Jerusalem. 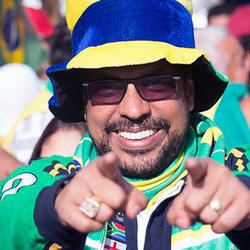 Among them were 1,500 Brazilians, but also people from Papua New Guinea and Fiji. None canceled despite the economic crisis, even if they were not well to do. Several hotels in Jerusalem have told us that they regularly refuse requests from other people to take over room reservations made by our Feast pilgrims for the Sukkot holiday, saying that ‘whatever happens here, we know the Christians will come.'" "It is sometimes difficult to be a Christian Zionist, as even some Jewish and Israeli leaders claim we are no different from Christians in the past. There are many misrepresentations about us. One is that the Christian Zionist movement is a recent outgrowth of the Christian Right and has a variety of sinister motives. We even have fellow evangelical Christians who call us idolaters for worshipping secular Israel instead of Christ." Parsons prefers to use the term "biblical Zionism" rather than "Christian Zionism," since it allows more room for Jewish and Christian agreement. He explains: "I am a Christian adherent to biblical Zionism, which can also have Jewish adherents. As a believer in the Bible and the God of the Bible, I believe that the Jewish people and the Land of Israel were both chosen for the purpose of world redemption. The modern restoration of the Jews to their ancient homeland is evidence of God being faithful to his covenantal promise to the patriarch Abraham to deliver the Land of Canaan as an everlasting possession to his descendants. "All human beings are equal, but the Jews have a unique role in the world that we must respect. The worship of God, His word, His commandments, His covenants, and for us Christians, God's Messiah, were all delivered to us through the Jewish people. It is a biblical paradox that there is universality with God in that He loves all humanity, and at the same time also a particularity, or divine election. It is even the teaching of the New Testament that through the return of the Jewish exiles, God is still working out his plan of redemption for the whole world. "As adherents of biblical Zionism, we support political Zionism, as the Jewish people need a homeland and safe haven, but we add the element of divine purpose. This sets us entirely apart from the anti-Israeli camp that believes the election of the Jewish people no longer stands. In their theology the Jews are now fair game for criticism and worse. This is the key distinguishing factor between Christian friends and foes of Israel-whether or not you believe the Jews still have an enduring covenantal relationship with God. "Elements of covenantal theology can already be found in the writings of the early Church Fathers, including Irinaeus and Augustine. The reformer John Calvin was, however, the first to organize God's salvation concepts under this system of theology." Asked how many Christian Zionists there are, Parsons replies: "The Christian world comprises, to begin with, perhaps up to one billion Catholics. There are over 200 million Eastern Orthodox Christians and 200 million mainline Protestant parishioners. "The Protestant evangelicals number perhaps as many as 600 million today-these are people who claim to have had a ‘born again' experience and who view the Bible as the inspired Word of God. The evangelical stream is the fastest-growing religious movement in the world. The Chinese government recently admitted that there as many as 120 million evangelical Christians in their country, more than the number of Communist Party members. "These evangelicals generally tend to have a favorable view of Israel, and many are interested in exploring the Jewish roots of our faith. Time magazine recently called this effort to study our Hebraic roots one of the top ten trends in the world today. In a recent poll some 80 percent of U.S. Christians felt a moral obligation to stand with Israel. There are some anti-Israeli pockets among evangelicals but these remain small. "Another great motivating factor is that we want to take responsibility for the bitter legacy of Christian anti-Semitism. Outside the United States much of our support base comes from Europe. We have strong branches in Germany, Austria, the Netherlands, and the Scandinavian countries. "These Christians are familiar with the history of the Crusades, the medieval expulsions of the Jews, the Inquisition, and the Holocaust. In the history of the evangelical Christian movement there are no instances of ‘convert or die' scenarios. Among those who now support Israel are people who have come out of churches that played major roles in Christian anti-Semitism. For them, supporting Israel is not a matter of guilt, but rather of taking responsibility for a bitter legacy and trying to remove the stain from the church's name. "Within the pro-Israeli Protestant camp there are two major theological schools. The first is covenantal Christian theology, which, as noted, is based on the belief that God eternally keeps his covenantal promises made through Abraham, Moses, David, and Jesus. We believe the Hebrew prophets were servants of the covenants and tell us something about how God will keep his covenantal promises. The foundation of our pro-Israeli stance, however, is the Abrahamic covenant. The people in the Christian Embassy belong to this theological school." "The other pro-Israeli Christian theology is dispensationalism. It is of more recent origin and focuses on prophetic passages in which Israel plays an important ‘end-time' role. Its origins can be traced to John Nelson Darby who was a preacher in the Plymouth Brethren Movement, which dates from the early 1800s. His ideas were later adopted by Cyrus Scofield in the United States, who published a popular reference Bible around 1900. "Dispensationalism says that Israel was temporarily replaced by the church but-at the end of days-Israel will once again be the main redemptive agent for God in the world for a short season. This happens when the true church is ‘raptured' or caught up into heaven at the start of the seven-year Tribulation. Then, during this time of great turmoil on earth, two-thirds of the Jews in the Land of Israel will die and the other one-third, through their conversion, will bring back Christ. "I believe this is based on erroneous interpretations of prophetic portions of the Bible, which contain passages that can be privately interpreted in many different ways. Still, it is a harmless belief system that Jews should not be too worried about. Even with these interpretations, most adherents of dispensationalism have a deep, abiding love for Israel. And it is not they who would be forcing Israel into some last, grand, convert-or-die scenario, since they would already be in heaven." Replacement theology, also called supersessionism, is the main theology of Israel's Christian foes. The terminology dates back to the seventeenth century but reflects an older view that was already espoused by some early church followers. It is based on the idea that God's unique relationship with the church is the replacement or the completion of the promises made to the Jewish people. "Some of those who believe in replacement theology are uncomfortable with the terminology and instead speak of ‘fulfillment theology.' It means that God has fulfilled everything He had promised to the Jews, and the new covenant substitutes the Mosaic one. Under this covenant the church replaces Israel as God's main redemptive agent in the world. "Various strands have been identified within replacement theology. One is ‘punitive supersessionism,' which simply says the Jews are cursed to endure endless wanderings because they killed Christ. Another variant is ‘economic supersessionism,' which has nothing to do with money but means that in God's economy the church has essentially replaced Israel in His plan on a practical level. "Yet another trend is ‘structural supersessionism.' This marginalizes the Old Testament as no longer being normative for Christian thought. It can be considered a modern-day revival of Marcionism. Marcion was a second- century heretic who maintained that Christians should not care about the Hebrew Bible, but focus only on the New Testament. "Marcion thought that if one accepted both testaments, one was serving a schizophrenic God. He saw the God of the Old Testament as one of vengeance and war, while the God of the New Testament revealed himself through Jesus as one of mercy and love." Parsons adds that many in the Christian world fail to understand the biblical paradoxes concerning, on the one hand, God's universal love for all mankind and, on the other, His sovereign election, both of Jews and Christians. Many Christians have had difficulty with the similar biblical paradox of "free will" versus "predestination." But he notes that in Romans 11, the Apostle Paul says, "Behold the goodness and severity of God." Parsons observes that this passage embodies these two paradoxical traits within God's character and that the "trick" for those of faith is learning to live between them, even if many Christians do not succeed at this. "The basic problem with replacement theology is that it denies God's immutable nature. Replacement theology charges that God is untrustworthy and can change His mind. If God indeed had changed His mind, the Jewish people would have been wiped out long ago, according to Malachi, Chapter 3. If the covenant with the Jewish people has been nullified, Christians must ask themselves what value the new covenant has for us. Our view is that one can add a covenant, but that does not necessarily nullify an existing one. "Christian Zionists get demonized together with the Jews by some of the mainstream churches, which believe in replacement theology. We consider it an honor to stand with the Jews." Parsons remarks: "Liberation theology is one more Christian theology that is hostile to Israel. It overstresses and overidentifies with the historic figure of Jesus-as opposed to the glorified Jesus post-resurrection-in order to address modern social grievances. It sees the historic Jesus as the earliest role model of a revolutionary fighting against oppression. In his case it was Roman oppression; now it is used to justify struggles against today's purported oppressors-the Israelis, for example. "Liberation theology started in Latin America where certain Catholic priests were trying to address legitimate local social problems. Its discourse has Marxist overtones. This caused the Vatican to come out against certain aspects of liberation theology. "This theology also has several prominent versions. ‘Black liberation theology' got much public attention during Barack Obama's campaign for the presidency. Jeremiah Wright, the pastor of his church-Trinity United Church of Christ in Chicago-is an adherent of it. The father of black liberation theology is the Rev. James Hal Cone, whom Wright considers his spiritual leader. Wright also hosted at his church a key proponent of Palestinian liberation theology, Rev. Naim Ateek of the Sabeel Center in Jerusalem. "Liberation theology will use the teachings of Jesus to justify violence whenever someone undertakes it against a real or purported oppressor. In the case of blacks, that means the fight against slavery and segregation. When a liberation theologian speaks of ‘justice,' it is a very loaded term. It basically means ‘I want all my grievances resolved, and even then I am not satisfied because I am always the oppressed while the other is always the oppressor.' Ironically, this is much in line with what many Muslims think." "No Christian theology can, however, preach violence, because Jesus in essence taught pacifism. He maintained that if one lives by the sword, one should be prepared to die by it. Jesus basically said ‘I didn't come to overthrow the Romans; my kingdom is not of this world.' Liberation theology sees a black-and-white world where the oppressed can get away with anything." Parsons remarks, "I have seen so-called study missions from the World Council of Churches coming to Israel and using liberation-theology arguments to support the Palestinians. The international headquarters of the YMCA in Geneva sent a study mission at the height of the Second Intifada, which did the same. When reporters objected that they were somewhat biased, their spokeswoman's answer was: ‘Jesus taught us to root for the underdog.' This is a huge distortion of the message of the New Testament. "Palestinian Christians are a small and dwindling, but highly symbolic community in the Palestinian territories. Some Christian clerics exploit that symbolic value to support Palestinian nationalism by distorting and denying the Jewishness of Jesus. By creating a Palestinian Jesus, they undermine the Hebraic roots of the Christian faith in order to serve the Palestinian narrative." "Prof. Edward Said, who taught Middle Eastern studies at Columbia University, often described Palestinian suffering under the Jews as ‘this endless Calvary, this constant crucifixion.' He thus deliberately drew upon classic Christian anti-Semitic motifs. Said's analogy was that Jesus suffered under the Romans and now the Palestinians were suffering under the Jews. "Justus Weiner of the Jerusalem Center for Public Affairs has exposed Said's biographical fallacy. The Arab scholar falsely claimed that he had to leave Jerusalem because his family was expelled by Israel. In reality, he grew up in Cairo and was only an occasional visitor in Jerusalem. "Many enemies of Israel equate it with the Nazis. Said added that Israelis also are the successors of the Romans by oppressing Palestinians. The body of the Palestinians is now portrayed as the body of Christ, which is again being crucified in the same land. Thus traditional Christian anti-Semitic themes are used in the service of Palestinian nationalism. In this way Jesus has retroactively been made a Palestinian. Some scholars have noted that this cutting off of Christianity from its Jewish roots creates dangerous possibilities for infiltration by Islam, which has a tendency to backfill history. "The Sabeel Ecumenical Liberation Theology Center, based in Jerusalem and run by Palestinian Christians, held a conference in April 2005 specifically to attack Christian Zionism. After Said had passed away, their new main patron was South African Anglican bishop Desmond Tutu. He could not make the conference and so they approached the new Anglican Archbishop of Canterbury, Rowan Williams, but he declined. One of his spokesmen said he did not want to be identified with the ‘wrong voices.' Instead he sent them a pastoral letter setting forth his view of Israel still having some sort of enduring covenantal relationship with God as a ‘light to the nations'; a paradigm nation for knowing the blessing and the correction of God. It was an interesting attempt at defining Israel's enduring election by a liberal Protestant theologian, who has been critical of Israel as well." "The Catholic Church at Vatican II repudiated replacement theology, which had been its official teaching for many centuries. Later, Pope John Paul II tried to further reconcile the breach between Jews and Catholics, visiting synagogues and making a pilgrimage to Israel, including a visit to the Western Wall and Yad VaShem. "Pope John Paul II also called the Jews ‘our elder brothers.' However, I haven't seen the Catholic Church clearly spell out their view on the nature of the enduring covenantal relationship between God and Israel. Although the church, to some extent, now recognizes some sort of covenantal relationship, its theology on this point remains vague. I think this reticence has to do with the church's ‘high view' of itself as the sole agent for salvation in the world." Parsons cautions that the theological battles over Israel among the churches will have to be fought out within the Christian world. When the General Assembly of the Presbyterian Church (USA) recently rescinded its divestment resolution, it was former CIA director James Woolsey, a practicing Presbyterian himself, who was brought in by Jewish groups and effectively opposed it. "Jews can challenge Christian adversaries on the facts, on history, and so on. But Israel and world Jewry would be well advised to stay out of the theological debates among Christians, since some will not take Jews seriously because they do not accept the New Testament as scripture." Justus Reid Weiner, "‘My Beautiful Old House' and Other Fabrications by Edward Said," Commentary, September 1999. David R. Parsons currently serves as media director for the International Christian Embassy Jerusalem, senior producer of the weekly radio program Front Page Jerusalem, and contributing editor to the Jerusalem Post Christian Edition. In these roles he writes and speaks on an array of historical, strategic, political, and biblical subjects relating to Israel and the Middle East. Parsons holds BA (history, 1981) and JD (1986) degrees from Wake Forest University. From 1991 to 1995 he served as general counsel for CIPAC, a Christian pro-Israeli lobby registered with Congress to advocate on behalf of strong U.S.-Israeli relations.